I have to admit that I haven’t had a lot of time for family tree research over the last few years. The result is that progress has been slow. Less than five weeks after returning my AncestryDNA kit to the lab via mail, I was notified that my results have been processed. With AncestryDNA, the results are a moving target. As more samples are analyzed, they will be able to provide more accurate information. As the test offered by AncestryDNA is an autosomal test, analyzing the entire genome rather than just the Y chromosome or mitochondrial DNA, the results paint a picture of my full genetic make-up (rather than just patrilienal or matrilineal heritage). AncestryDNA provides two types of results: my genetic composition and potential relatives who have genetic markers similar enough to mine. My genetic composition isn’t too surprising. If there’s anything to be surprised about, I suppose it would be the 17 percent component of Scandinavian descent. I’m not aware of any ancestors from Denmark, Norway or Finland, but my knowledge only goes back four or five generations. Most of my ancestors lived in Russia or eastern Europe before coming to the United States and are, from what I can tell, Ashkenazi Jewish, so the assumption is that they arrived in Europe centuries ago in an early migration from the middle east. The Sturmwald family arrived in the United States a generation or two prior to most of my other ancestors, and they came from Germany. My guess is that I might be more likely to find a Scandinavian background by tracing that family back, just because it is geographically closer than Romania, Lithuania and Russia. The 2 percent of my genetic composition that is identified as “unknown” could perhaps be identified in the future after AncestryDNA collects more samples. 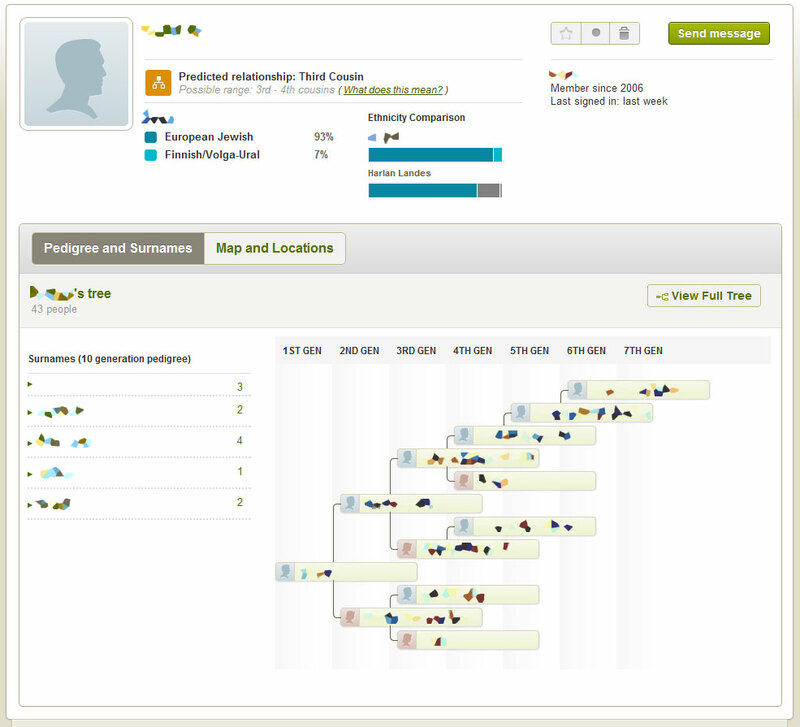 AncestryDNA also includes in these results a list of potential relatives. My results presented one possible third cousin and many probable distant cousins. Many of the users on this list provide public family trees, but I was unable to find someone who shared an ancestor with whom I am familiar. There would be hundreds to look through, so I focused only on the first few pages of results. 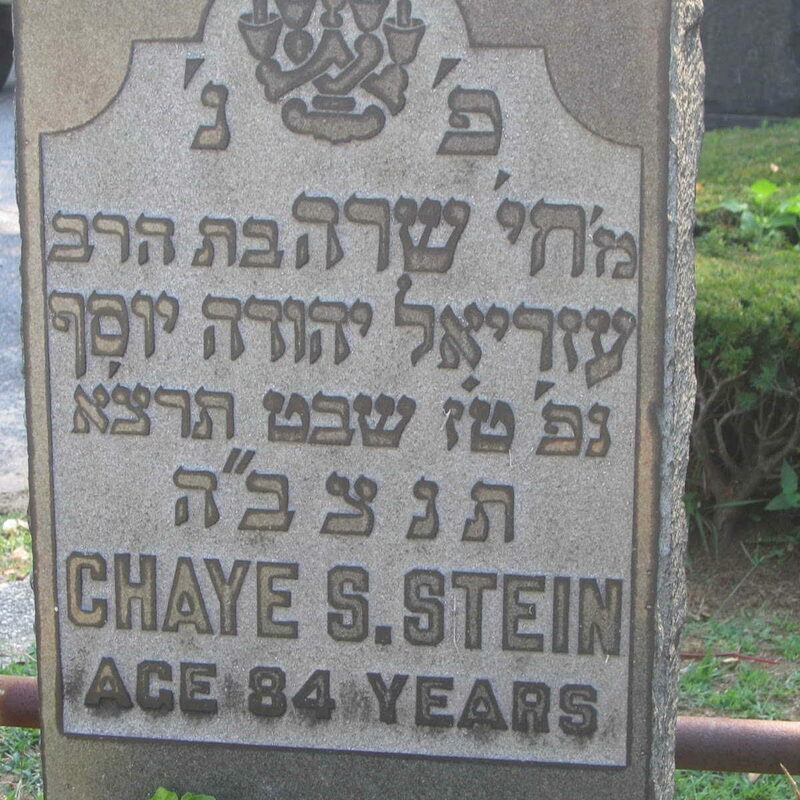 There was only one tree that included a surname I recognized from my tree, Stein, but that is an incredibly common name, and the location didn’t match up with the location of the Steins in my tree. Here’s the closest identified relative based on DNA. Are you surprised by the number of matches? Well, there’s a good reason. It’s a little complicated and science-y, but the bottom line is that it appears our system returns inaccurate matches for people of European Jewish descent. The good news is that our match predictions will improve over time as we grow our database of DNA signatures. In the meantime, don’t be afraid to reach out — you may just discover that distant cousin you never knew you had. When a reason is complicated and “science-y,” it would be nice if there was some kind of link where I could learn more information. I’m not afraid of a little science. What would have been nice would be if AncestryDNA’s matching results gave me new clues for researching my heritage, particularly the surprising Scandinavian component. Perhaps now that my information is in the system, a potential distant cousin will find my information and contact me. But, even if that does happen, what is the real value in connecting with someone who may be a fourth, fifth or more distant cousin? We might be able to identify a common ancestor — but then what? In terms of value, I’m not convinced that AncestryDNA is a great deal for the price. It’s not that the results didn’t meet my expectations. In terms of genetic composition, there were no surprising discoveries, just a new question about the Scandinavian component. At this time, the matching section of the results hasn’t been fruitful. Even if I were presented with obvious cousins, the price is still high. A few days before receiving notification that my results were available, I also enrolled in FamilyTreeDNA. 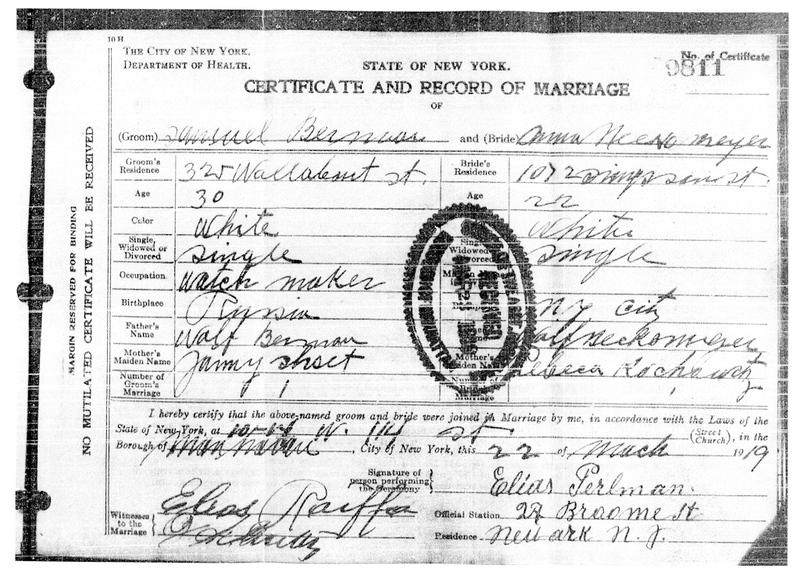 From reviews I’ve read, FamilyTreeDNA is preferred for discovering details about Jewish ancestry. FamilyTreeDNA has many more options in terms of DNA test types, and the cost can be much more expensive than the AncestryDNA test. Overall, the value of expensive DNA tests for genealogy is suspect, but the only way to know is to participate.